I have used this makeup for 10 years. it is the best for coverage. I have ark spots on my face from sun damage and acne and it covers it up! I've been using this product for several years and love its long-lasting coverage. A small amount.goes a long way, and its got sunscreen as well. The ONE thing I would bring on Survivor!! I am not kidding! This stuff is heavenly!! I have dark circles and some redness on my eyelids from using Latisse. This concealer is small but mighty!! Doesn't take but a dab and it spreads thin and covers beautifully. Very slight creases at the end of the day, but it truly is the best I have ever tried. I use it with my mineral powder and get that natural yet even look. I purchased Illuminare, Extra Coverage Foundation/Concealer in Florentine Fair . As foundation and/or concealer, this applies incredibly easily with a flocked sponge (I bought the cute little Illuminare one, but my Jane Iredale sponge works too). The coverage is sheer to medium, and it makes my skin look more even. Because of the moisture content in Extra Coverage, this is just the right texture to be a perfect concealer and eyeshadow base. As a foundation, it's still a little too moisturizing for my cheeks and forehead, and the Florentine Fair, while recommended for Medium skin, is too light for my whole face (NC 35-37). It gives me the the appearance that my neck, decollete, and arms don't match my face, which makes my makeup look obvious, and tacky. Florentine Fair does work well to correct any darkness under my eyes, redness around my nose, and darker spots of melasma, without being too heavy or obvious. The squeeze tube application works well, because any other container would dispense too much of this product. It is so highly concentrated you have to see it to believe it. Sometimes air gets into the tube, no matter how carefully I try to keep it out, and globs of makeup will leak, which is a waste, and messy, but for the consistency of this makeup, the tube is the best possible packaging. This foundation/concealer lasts all day, does not transfer to clothing or other humans, and removes easily with my cleanser of choice. Illuminare's All Day Blush and eye shadows apply over this foundation/concealer like a second skin, and do look perfect all day long. 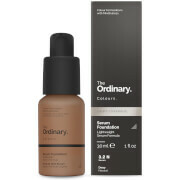 Eventually I will try Illuminare Foundation in the All Day Formula, in Sienna Sun, to see if it's a better foundation match for me, but I love Extra Coverage as a concealer. 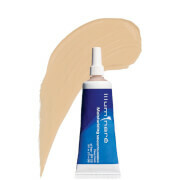 Living in Southern California, I am in the sun a lot, so I appreciate the spf in all of Illuminare's products. 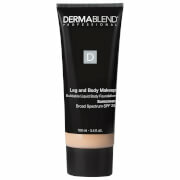 It's been hard to find a concealer with spf, and this is just what I've needed. I have used SO many foundations including the mineral variety. I was stuck on the minerals until I tried this....the coverage is beyond expectations. I have leftover dark patches from my pregnancies and acne scars and the garden variety of sun marks from my younger years and this foundation covers it all...makes my skin look clear and amazing...if I get compliments on my skin, it's fabulous! And it doesn't cake and flake at the end of the day. No matter what it says on the box, the minerals do start to look "cakey" at the of the day...at least for me.. I hope this product never goes away! I have very uneven skin tone. This product made my skin look amazing. And it lasted all day. I used this product with Illuminare's Foundation Brush also.